When we offer intro programs to give people the opportunity to try out Vigor Ground Fitness and Performance I often include a live nutrition seminar. 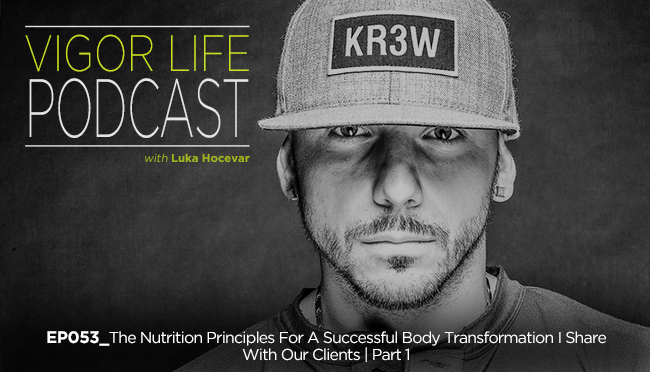 In this seminar, I cover the nutrition basis to teach people the principles that will help them take control of their transformation. I’m not taking for a short time, but for good. I’m going to share these principles with you so you can apply them to yourself and/or your clients and start making changes right away. This entry was posted in Podcasts and tagged Body Transformation, Mindset, Nutrition, Weight Loss. Bookmark the permalink.